Surfing has become one of the most popular recreational and competitive watersports. For many, it is a way of life, but how was it discovered? No one knows who first rode a wave simply for the pleasure of it. It could have been Stone Age fisherman on a log raft or in a dugout canoe, and it could have happened anywhere in the world where humans engaged the ocean. 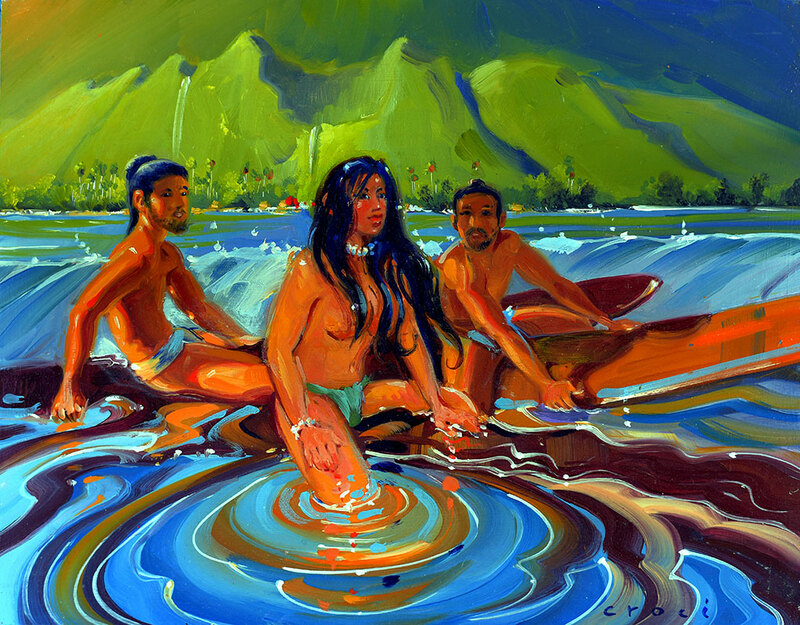 Inspired by the book The Illustrated Atlas of Surfing History (published by Island Heritage, written by Joel T. Smith and illustrated by Ron Croci), SHACC’s latest exhibit depicts the history of surfing from antiquity to the 18th Century European discovery of Hawaii.